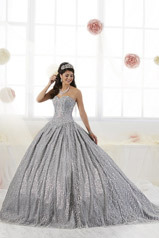 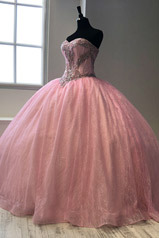 Be the belle of the ball in this all-over glitter tulle princess gown. 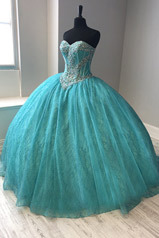 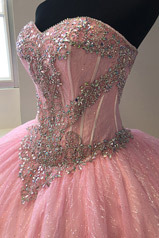 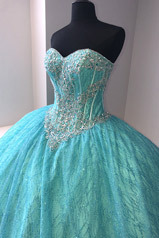 The sweetheart neckline is accented with corset boning and crystal beading for a touch of drama. 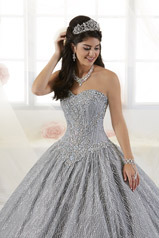 This look is complete with a lace up back.